A short while later we were sitting in the Twisted Lip. Both of us with a full pint of beer, we stooped over the iPad, primed to receive the information that I was certain was going to exonerate me. Holmes tapped the screen and we heard the voice of Charles Darlington introducing his show. It was pretty much as I remembered it. Holmes listened intently, giving away little in the way of reaction. 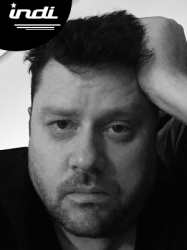 As the recording drew to its conclusion, something struck me. It was so trivial, so irrelevant that it had struggled to lodge in my memory. To that point it was as important as the colour of Darlington’s tie or the number of windows on the front of the Twisted Lip. My impending castigation rumbled towards me like a train dragging around the bend into a station of relentless mockery. “That’ll be it then,” said Holmes. The little gem of a fact resurfaced by the recording was my mention of Agnes Chapel. That fact triggered another thought. Agnes lived in Guisborough. Surely, she hadn’t died in the same blaze that had seen for Darlington’s property? I shared this thought with Holmes. His response was to gather in his eyebrows. “Can I borrow your phone?” he asked. I took my phone from my pocket and unlocked the keypad before passing it to him. I didn’t need to as he always worked out the PIN anyway. I couldn’t make out what the inspector was saying, other than it had the tone of a warning. “Cheers, mate,” said Holmes before returning me my phone. He looked to me and nodded a confirmation before scraping the palm of his hand across the stubble on his chin. Thinking out loud I returned to my original assumption. It was hard to disagree; however, through the course of my association with Holmes I harboured the thought that at some point we would stumble on a case where the obvious conclusion was the right one. Statistically it had to happen. It never did. “Do you remember Agnes?” I asked. Holmes narrowed his eyes. “That doesn’t sound like me,” he said. Holmes flashed me a conspiratorial smile, which served to improve my mood a little. It seemed hopeless. 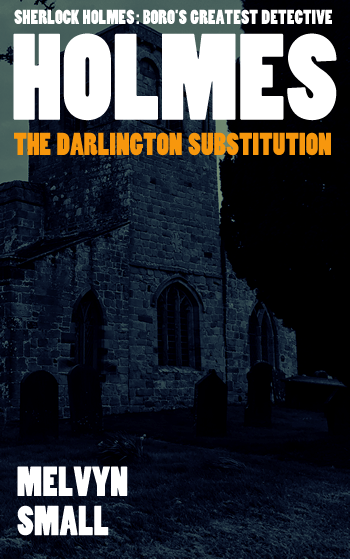 Holmes’ best efforts to date hadn’t located Eligius Chapel and that perhaps one of Darlington’s thousands of listeners might know something didn’t appear to be particularly helpful either. How would we even find out who they were? Even if we did, Darlington had a head start on us. It felt like a race against time and we were stuck on the starting blocks. I looked towards Holmes, hoping he had some sort of idea. “She slept downstairs,” said Holmes. “Is that relevant?” I asked.